Your eyesight is the most important and valuable asset in your body. To avoid eye problems, you have to ensure that you regularly go for eye check-ups. Some of the signs and symptoms of eye problems include lack of sleep, blurriness, headaches among others. Most people tend to ignore the signs, but it is important that you get checked before it leads to a major eye disorder. Here are some of the common types of eye diseases and disorders. Cataracts are one of the most common eye disorder that is experienced by most people. Its characterized by the milky white lens in the eye as well as cloudiness. Cataracts can be as a result of protein deterioration, UV exposure as well as injuries that make your eye lens cloud. People suffering from cataracts have to undergo eye surgery for them to be treated effectively. However, if cataracts are not treated early enough, you may suffer from severe eye loss. Glaucoma is a type of eye diseases that are associated with pressure which builds up inside the eye. Glaucoma is a condition that can cause a lot of damage to the optic nerve that transmits images to the brain, and if it’s not treated in time, it may result in vision loss. Glaucoma is one of the eye diseases that do not have early symptoms and signs thus the need to visit the doctor often. Depending on how long you have stayed with glaucoma eye condition it can be treated by using eye drops or lasers and at times eye surgery. Some people think that having dry eyes is common, but it’s not because it’s a sign that your body is not producing enough tears to lubricate your eyes. When your eyes are not lubricated adequately, you will have dry eye syndrome which if not treated may lead to some vision loss. A person suffering from dry eyes experience burning sensation especially when looking at a computer or when on an airplane. Diabetic retinopathy is an eye disorder that results from high blood sugar and can cause eye blindness if not treated. Blood sugar alters the blood vessels in the back of the eye thus causing the retina not to receive enough amount of nutrients needed for proper vision. Keratoconus is one of the most dangerous eye diseases that can lead to permanent eye loss. Keratoconus is a condition that occurs mostly when the cornea is weakened by the collagen and if not treated early someone may need a cornea transplant. Eye disease that occurs when excess light passes through the cornea and the lens. Refractive errors are common eye problems in most people and can be treated by contact lenses or eyeglasses. However, severe conditions need surgery. You can consider someplace like Personal Eye Care in Australia to make sure whether your condition demands an operation or it can be treated without one. Muscular degeneration is the major cause of blindness as it is characterized by damage to the retina area or the muscular that identifies light. Also, muscular degeneration is caused by smoking, gender and at times age. However, the condition can be treated by photodynamic therapy, laser therapy among others. Tearing is an eye condition caused by the production of too many tears. 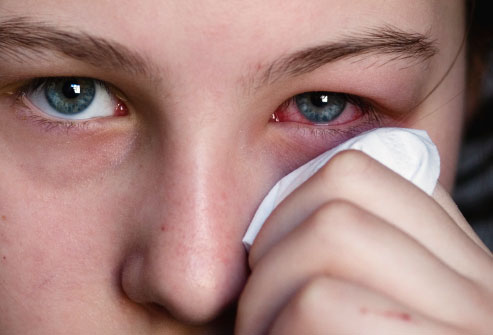 Too many tears is an indication that your eye is affected by temperature changes, wind or even sensitivity to light. Also tearing can be an indication that you have a blocked tear duct or an eye infection. Floaters is an eye disorder or disease that is common among people who are above 50 years. However, floaters do not block vision but seem to drift in front of the eye. Floaters may also indicate a serious eye problem. It’s important that when you notice a sudden change in number or type of spots you see the doctor to prevent future damage. Presbyopia occurs mostly when the natural eye lens loses flexibility is. A person suffering from presbyopia is at risk of losing the ability to see clearly. However, presbyopia can be treated by getting lens implants, surgery and wearing corrective lens. These and many more are some of the most common types of eye diseases or disorders.